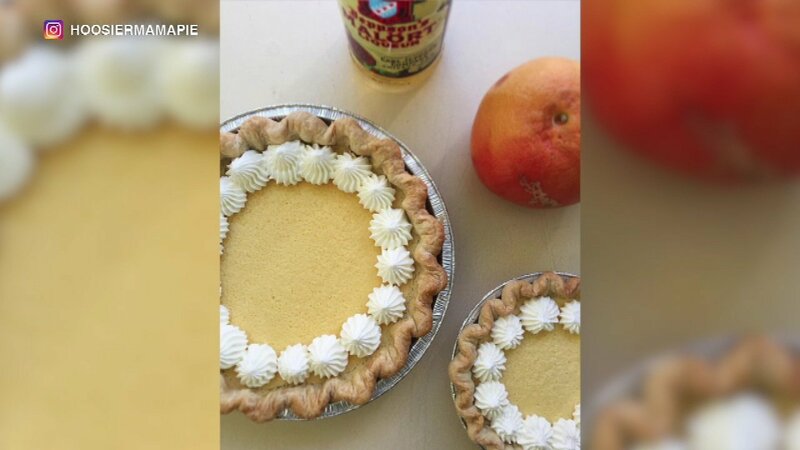 CHICAGO (WLS) -- Hoosier Mama Pie Company, a popular Chicago area bakery, is now selling a pie inspired by Jeppson's Malort liqueur. Ursula Siker, co-kitchen manager of Hoosier Mama's location in the city's Ukrainian Village neighborhood, created the "Chicago Sunrise," a new take on a tequila sunrise. Siker told Zagat.com, "It's basically the most Chicago pie ever." She said she came up with the idea for the new pie after a friend told her the bitter liqueur tasted like grapefruit rind. The Chicago Sunrise has an all-butter crust, whipped cream and grapefruit custard combined with Malort. The beverage has a cult following in the Chicago area. The pies will be sold at the Hoosier Mama's bakeries in Ukranian Village and north suburban Evanston.